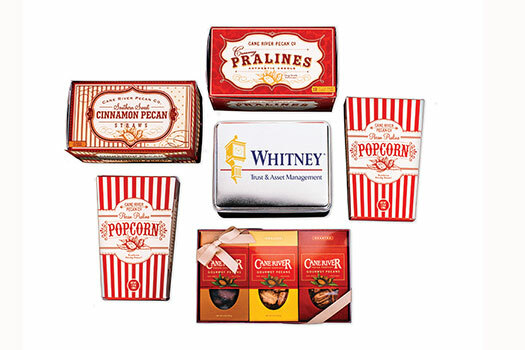 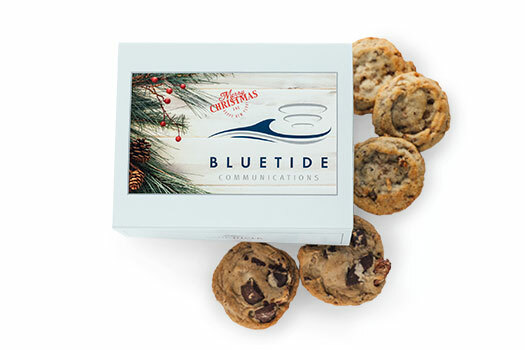 Impress your customers or clients and reinforce your image as a thoughtful business associate with a custom gift tin. 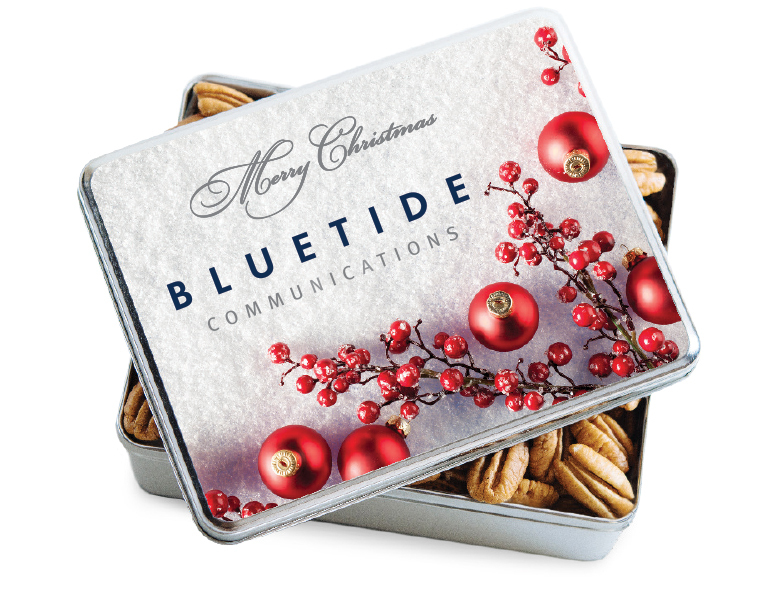 Each tin is filled with the gourmet Cane River pecans of your choice, adorned with your custom logo or design, carefully packed in a protective mailing carton, labeled and shipped directly to your recipients. 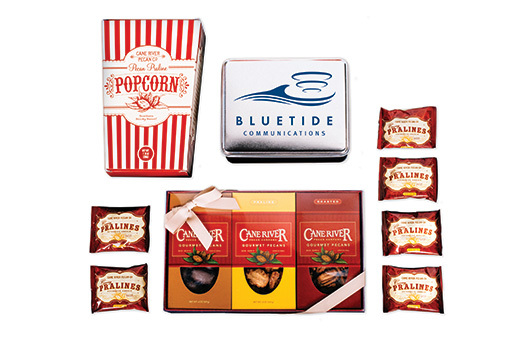 CUSTOMIZATION HOTLINE: 1.888.365.4136.